This site exists to help you obtain a International Birth, Death or Marriage certificate as quickly and as easily as possible. All international birth certificates supplied are full long form certified/extract copies for England and Wales, Scotland, Northern Ireland and the Republic of Ireland and include parents names. All international birth certificates we supply are fully certified copies which are suitable for all official purposes. Some reasons for obtaining a certificate include an application for marriage, applying for an academic course, applying for a passport or a driver's licence. One of the most common reasons is that the original certificate was lost or mislaid. International birth certificates do not require a signed release or similar for the order to be processed. Nor does further documentation (e.g. 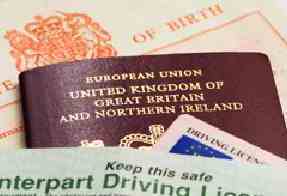 driver's licence or passport) have to produced Generally, there will be no special needs for the order to be completed, beyond the initial supplying of information and payment. All International apostille birth certificates we supply are fully certified copies which are suitable for all official purposes. Some reasons for obtaining a certificate include an application for marriage, applying for an academic course, applying for a passport or a driver's licence. One of the most common reasons is that the original certificate was lost or mislaid.